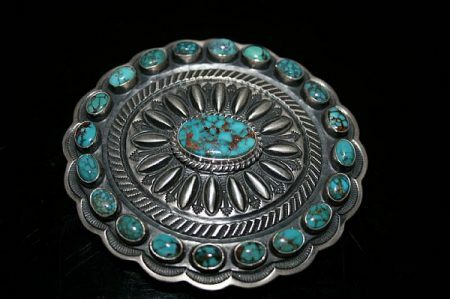 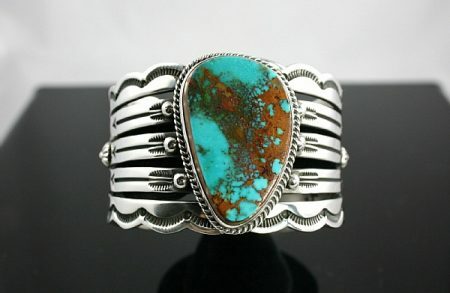 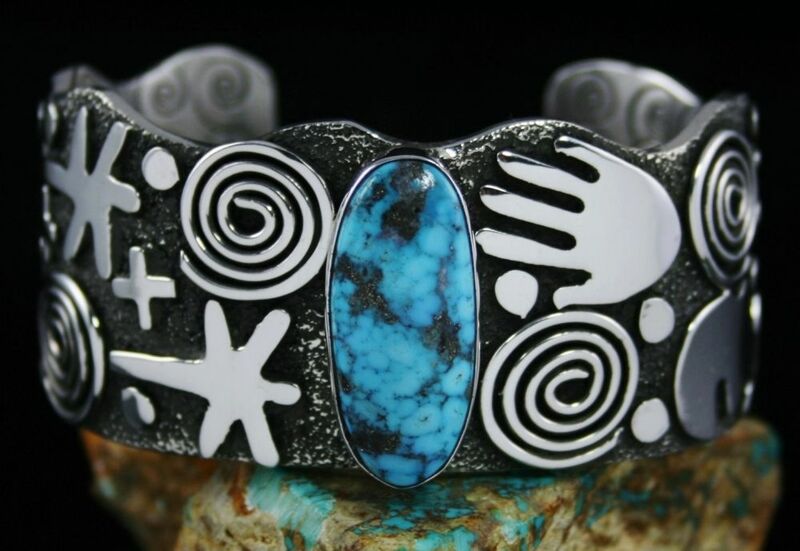 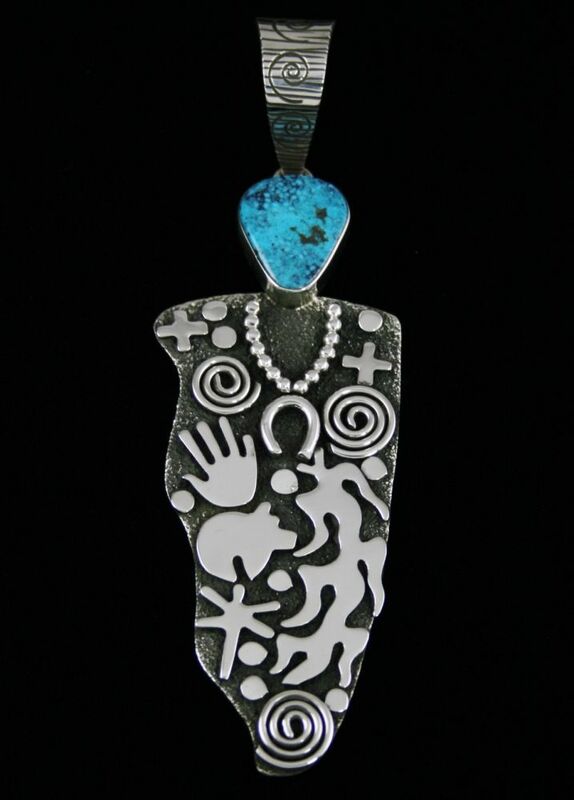 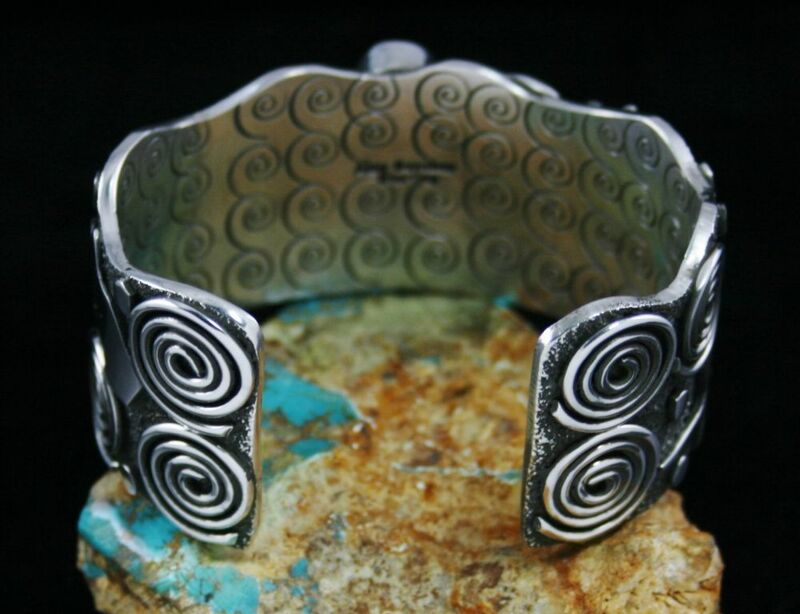 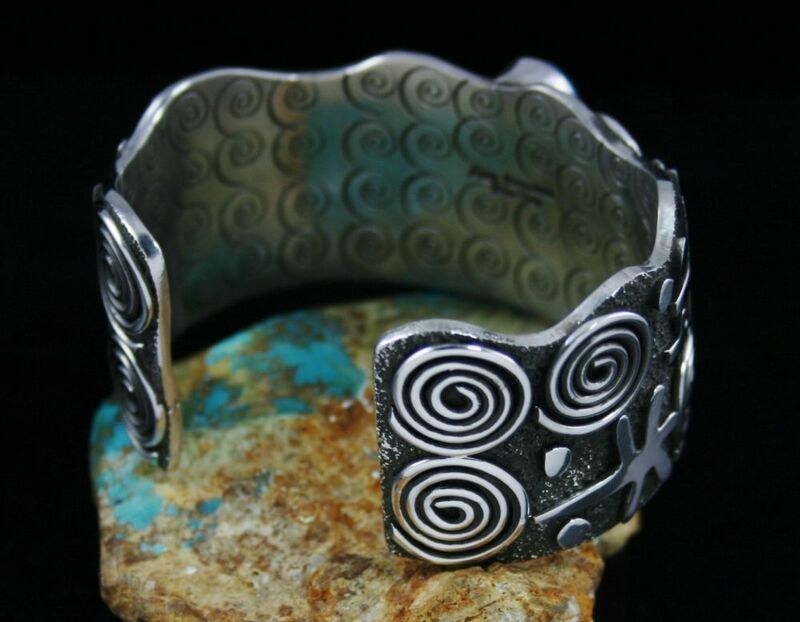 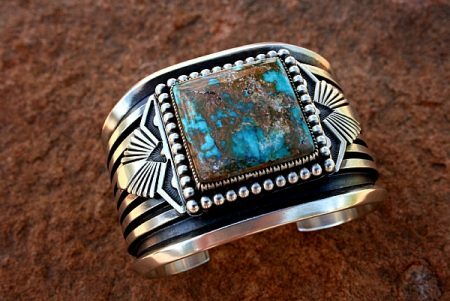 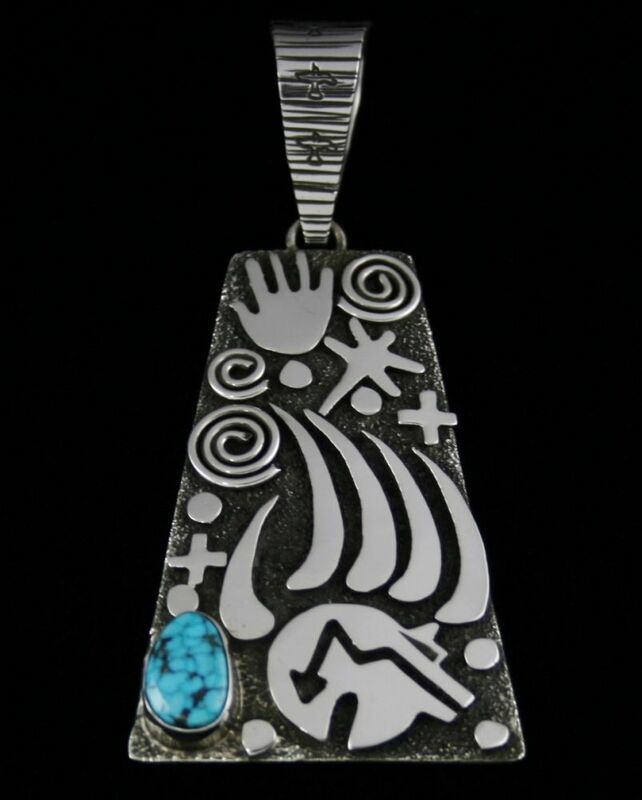 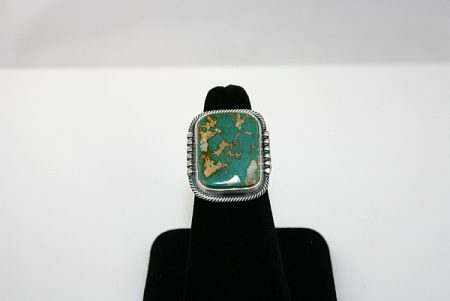 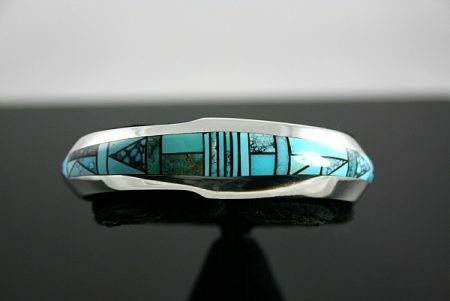 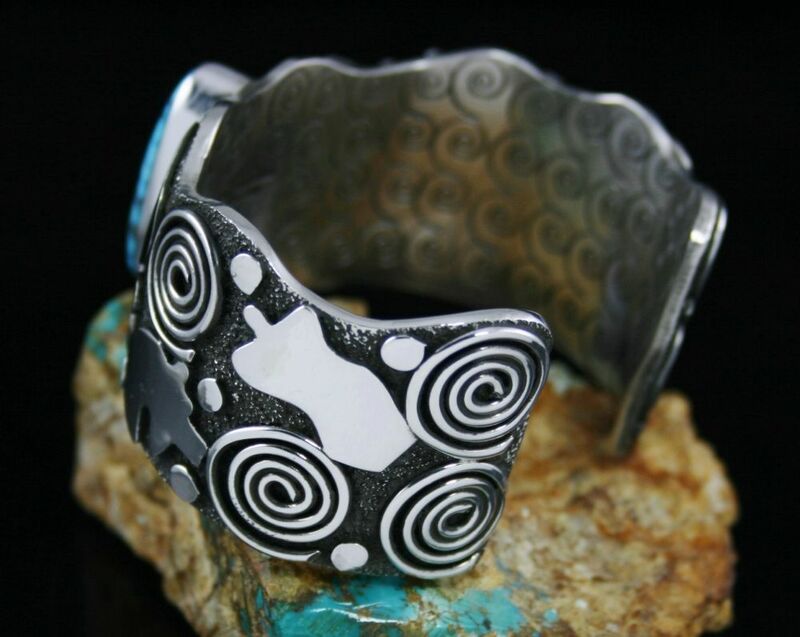 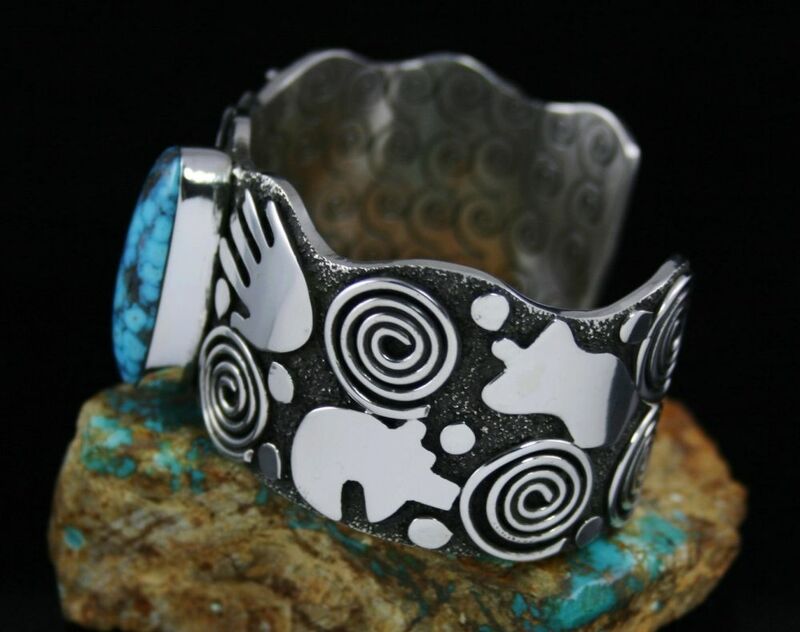 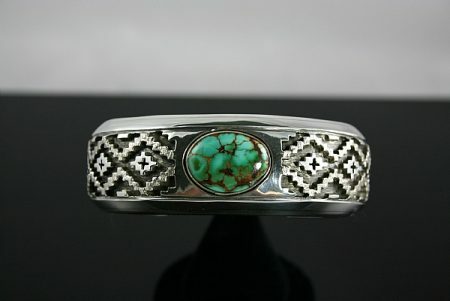 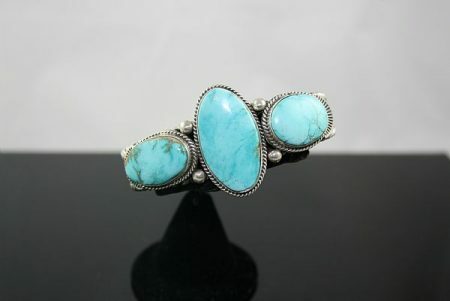 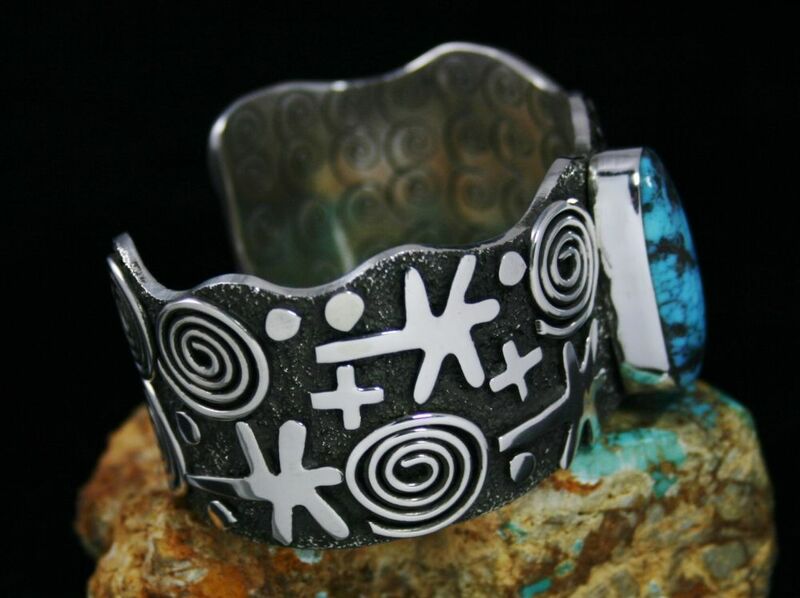 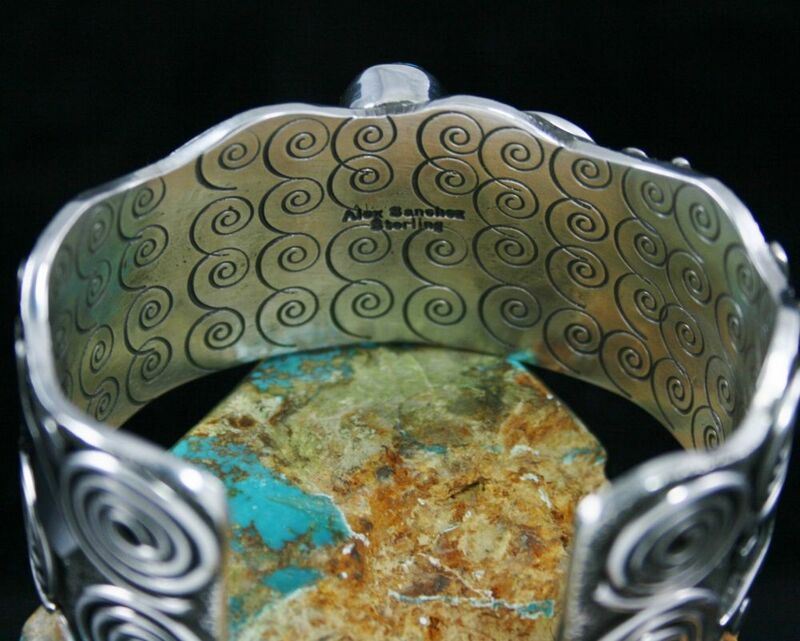 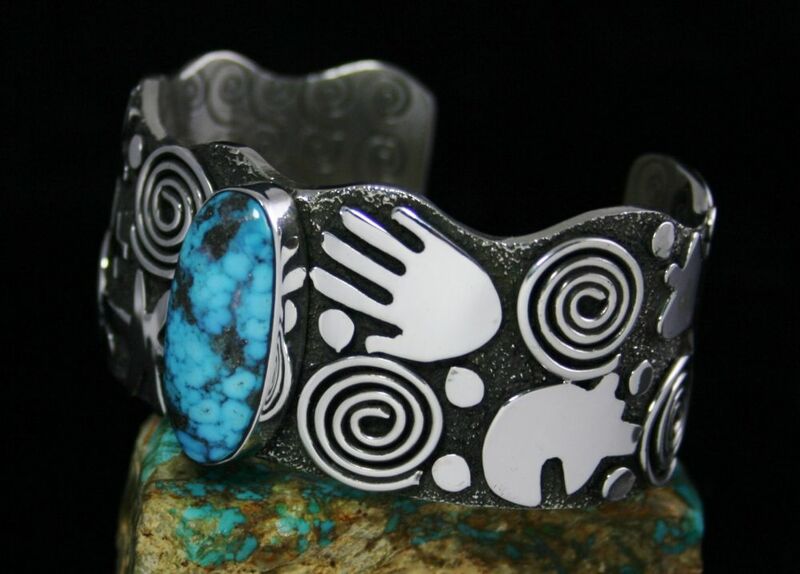 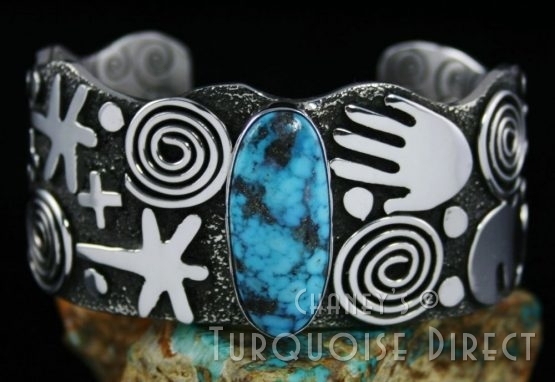 This heavy bracelet features a large natural Kingman turquoise set in a hand made bezel. 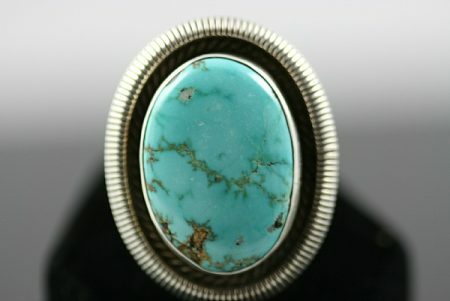 The gem is sky blue with dark host rock matrix and light water webbing. 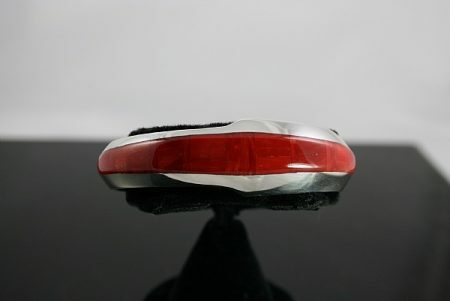 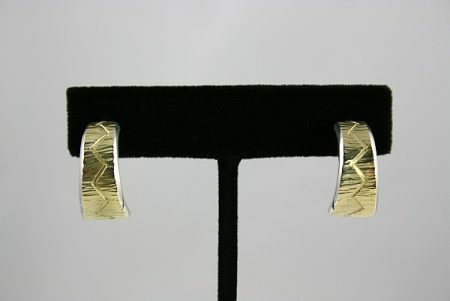 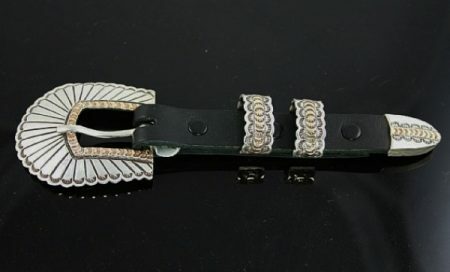 The shape of the bracelet shank is cut out and deeply hand textured prior to oxidization. 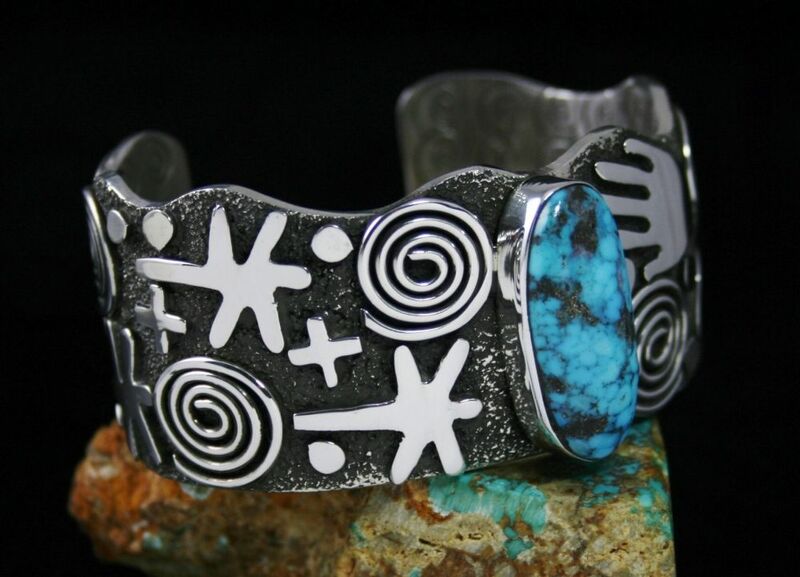 Alex then individually cuts the petroglyphs out by hand prior to overlaying them on the shank. 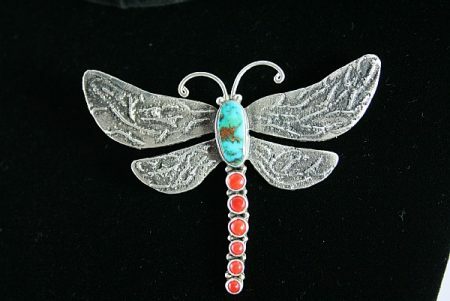 Dragonflies, bears, crosses and migration symbols are set next to rain drops. 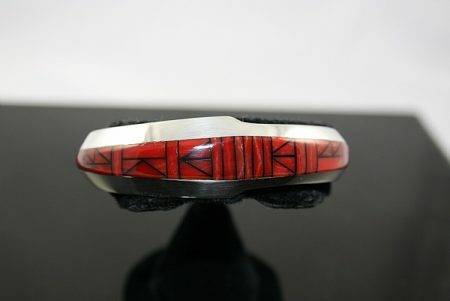 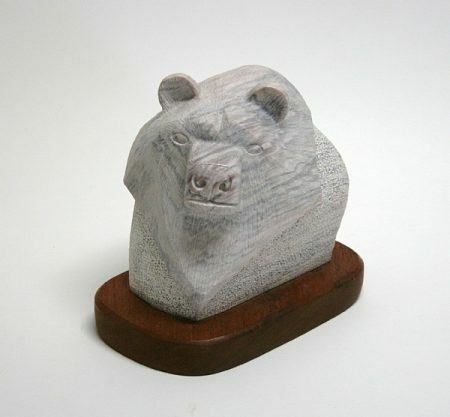 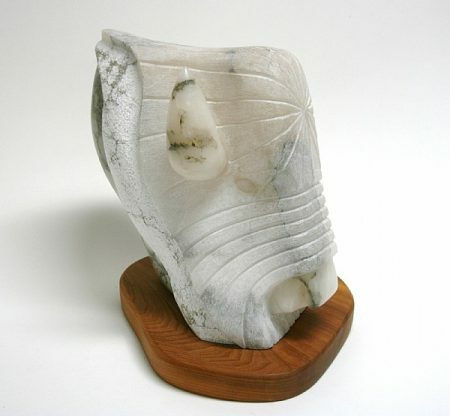 On the back he stamps a water wave pattern end to end.